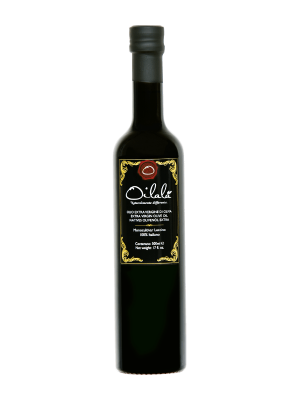 an intense or delicate taste? To meet the tastes of the consumer, we have decided to offer them two different types of oil obtained from the Monocultivar of Leccino, and Coratina, adding a third, which is instead the result of a blend composed of several varieties. 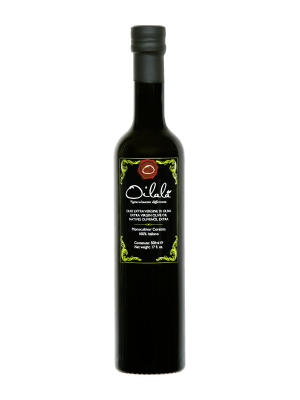 Oils are very different among them and are able to respond to specific expectations in terms of taste. Start by choosing the taste you like most: intense or delicate? 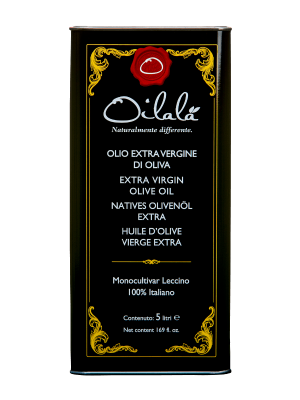 Our extra virgin olive oil of leccino. 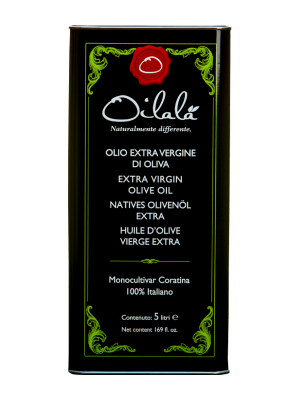 Our extra virgin olive oil of coratina. makes happy sight and palate. in the dining room (oil). dinners. 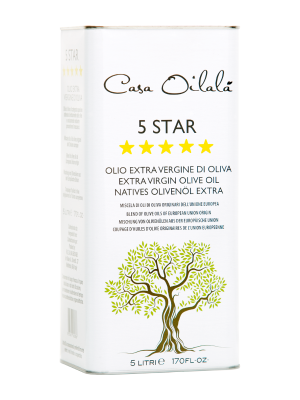 Also in larger format (5l). 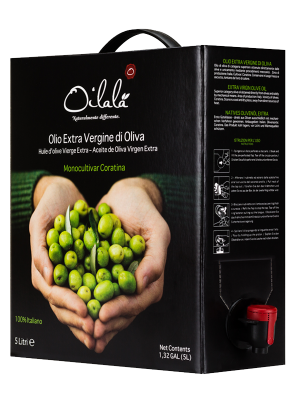 To preserve a valuable asset as our oil, the result of the commitment and passion of three generations of farmers and producers, we could certainly choose a packaging that is ordinary and not very significant. The shapes that contain it, tell our story, speak of the search for a superior quality, of our love for the beauty and the goodness, of the skills acquired in years of active participation in the design world. In homage to the greek origins of my grandfather Spiridon, and our family, we like to talk about kalokagathia, the ideal of the perfection of classical Greece, a condition that ideally unites the beautiful with the good, the one impossible without the other. 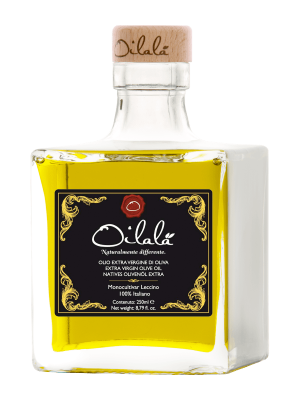 It’s for this reason that the glass bottles of the product line “Liquid Luxury – life is beautiful”, for example, have a timeless elegance, with our name finely printed to seal their uniqueness, confirmed by its limited production and restricted availability to the best Italian and international restaurants, as well as gourmet shops most exclusive and the most demanding consumers.